Armos Exim assures a Certified Quality System Management, including procedures issued by OEM for various operations and preventive maintenance procedures. Accredited level 1 and level 2 inspectors. Engineers accredited by Original Equipment Manufacturers: MiSwaco, IFE,NOV Rig Solutions, NOV Fluid Control /Brandt, etc. Engineers authorized by INSEMEX-GANEx for the installation, maintenance and operation of equipment designed for Explosive Atmospheres. If we do not generate the waste in the first place, then a reduction is obvious. However, no well can be drilled without the generation of waste. It is possible though to reduce the volumes through a number of means including better planning, a reduction in hole sizes, minimizing washout through the selection of appropriate drilling fluids etc. 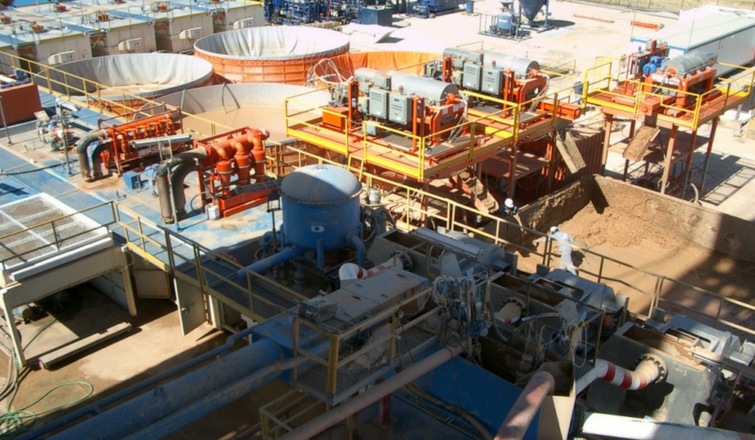 Solids control equipment is key to the reuse strategy. Solids control efficiencies will dictate how much drilling fluid is recovered in a suitable state for reuse in further drilling activities. Poor solids control efficiencies will lead to more solids entering the active system, further reducing their particle size, and ultimately resulting in the requirement to dump fluids as waste, or to dilute, thereby increasing volumes and costs, all of which have a negative environmental impact. Other specialist equipment is used to further improve the recovery of drilling fluids such as the Cuttings Dryer, which reduces the residual oil on cuttings to a level not achievable using traditional solids control equipment. Liquid waste such as waste water and spilt drilling fluids can also be reused in many cases provided they are collected, treated if necessary, and checked prior to reuse. After recovery of the drilling fluid for reuse, the drill cuttings may require further processing. The low temperature thermal treatment of NAF cuttings offers the opportunity to recycle the recovered base oil to build new drilling fluids. Similarly, slop water generated during the use of NAF can be treated with chemicals to recover and ultimately recycle much of the NAF portion. High temperature thermal treatment of drill cuttings will generate a recovered hydrocarbon which is not suitable for reuse in drilling fluids due to “cracking” of the oil caused by the higher treatment temperature. However, this hydrocarbon is often suitable for recovery as a fuel oil. 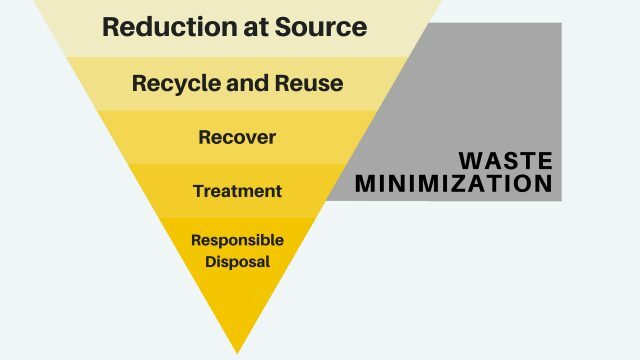 The Drilling Waste Management product line is designed to help maximize compliance with the waste management hierarchy principles, as well as ensuring that local regulations and standards are complied with. Ultimately, disposal will be required in all cases, be it solids and or liquids. Blending of waste with a reagent that encapsulates and bonds the potentially harmful contaminants. Physically bonds contaminants to prevent leaching to the environment. Final product can meet with the most stringent government environmental regulations . 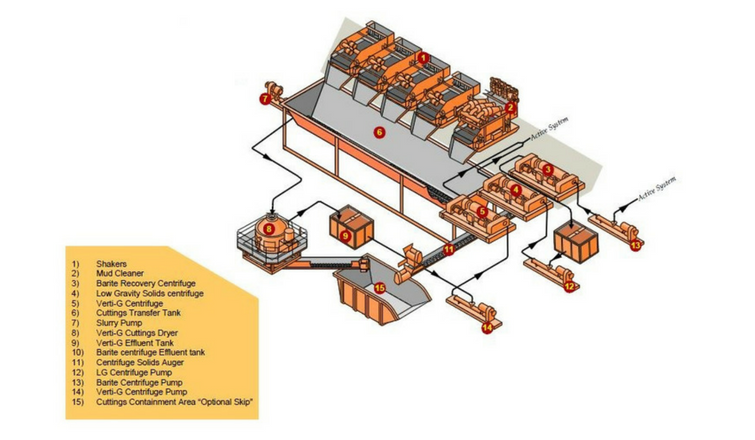 Acceptable process for treating drilling waste worldwide. Stabilizes material and prevents contaminants from leaching to the Environment. Can provide environmental discharge compliance. Rapid results (48 hours curing time). Simple and relatively inexpensive process. End product can be used for construction projects . Flocculation can be described as a chemical and physical bridging or agglomeration of the coagulated particles. 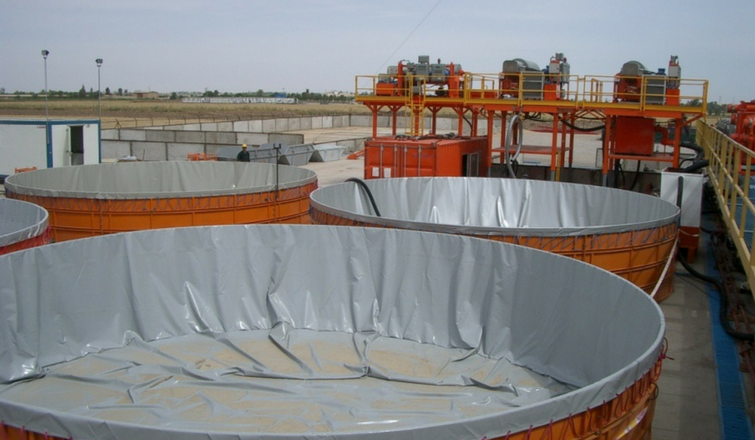 Flocculation and Dewatering usually follows after coagulation of dispersed solids particles. Separation of the liquid and solids of a mud system occurs easily as the centrifuge removes the larger flocked solids as a moist sludge. The dewatered sludge is discharged into a cuttings tank and the cleaned effluent is returned to storage or the active mud system. Cost effective vs. transport and disposal option. Reduces liquid waste and disposal costs. Reduces water consumption – by liquid re-cycling. Highly effective in clear water drilling.